Late last week, Governor Rick Perry (R-TX) signed into law Senate Bill 1398. Substantively, the legislation does not fundamentally change the presidential delegate selection process across parties in the Lone Star state, but it does provide some state governmental guidance as to how the allocation process should be conducted. Sec. 191.007. ALLOCATION OF DELEGATES. 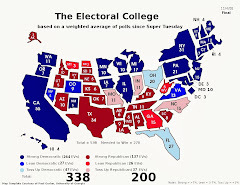 Each political party holding a presidential primary election shall adopt a rule for allocating delegates based on the results of the presidential primary election. Sec. 191.007. ALLOCATION OF DELEGATES. 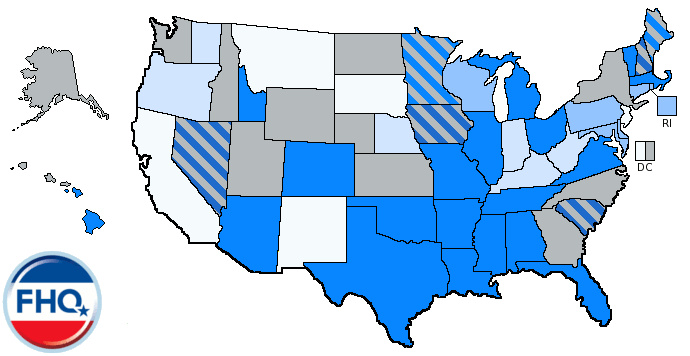 (a) Each political party holding a presidential primary election shall adopt a rule for allocating delegates [based on the results of the presidential primary election]. 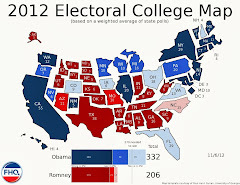 (c) Subsection (b) does not apply to delegates allocated: (1) among party and elected officials; or (2) through an allocation based on participants registering for or attending a caucus or similar process, provided that at [At] least 75 percent of the total number of delegates who are to represent this state at the party's national presidential nominating convention, excluding delegates allocated among party and elected officials, shall be allocated in accordance with the rule adopted under this section based on the results of the presidential primary election [among one or more of the candidates whose names appear on the presidential primary election ballot and, if applicable, the uncommitted status]. In a nutshell, the new Texas statute basically allows the state parties to continue what they have been doing. On the Democratic side of the equation, things are mostly the same, save one notable exception. Yes, the new law provides the state party the latitude to filter the delegate selection process through state senate district conventions/caucuses as opposed to congressional district versions of those meetings as has been the case. There is even an exception for the primary-caucus (the Texas two-step it was called in 2008) that got so much attention during the Clinton-Obama race. What is different, though, is that there is now a required percentage of delegates that have to be allocated through the presidential primary. That will not necessarily jibe well with the Democratic delegate apportionment to Texas. 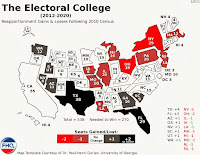 The way things broke down in 2008 was that the at-large, statewide delegates were allocated based on the primary results and the congressional district delegates -- reapportioned across state senate districts -- were allocated through the caucus/convention mechanism. Roughly 65% of the delegates, then, were allocated based on the results of the primary with the remainder going the caucus route. That balance -- at-large to congressional district delegates -- will not necessarily comply with the changes to this law. That will potentially complicate the crafting of the Texas Democratic delegate selection plan in 2016. ...or it could lead to a lawsuit, that precedent (via Tashjian) seems to indicate would side with the state party over the state government law. As subsection C indicates, both parties' party/superdelegates/automatic delegates are not subject to the allocation guidelines set forth in the new law. Again, the substantive changes are relatively minute here, but there are some interesting possible implications when it comes time to implement and enforce this new law.